Beck has been in extended hiatus since 2008’s Modern Guilt. Of course, he hasn’t been entirely dormant; he’s been producing, working on his own label, collaborating with people as diverse as Jack White and Phillip Glass, and releasing new songs in the form of sheet music. Beck is to release his first LP in six years, Morning Phase — a spiritual successor to 2002’s Sea Change recorded with many of the same musicians — this Friday, and has already released two songs from the album: “Blue Moon” and “Waking Light”. Let’s take a look. 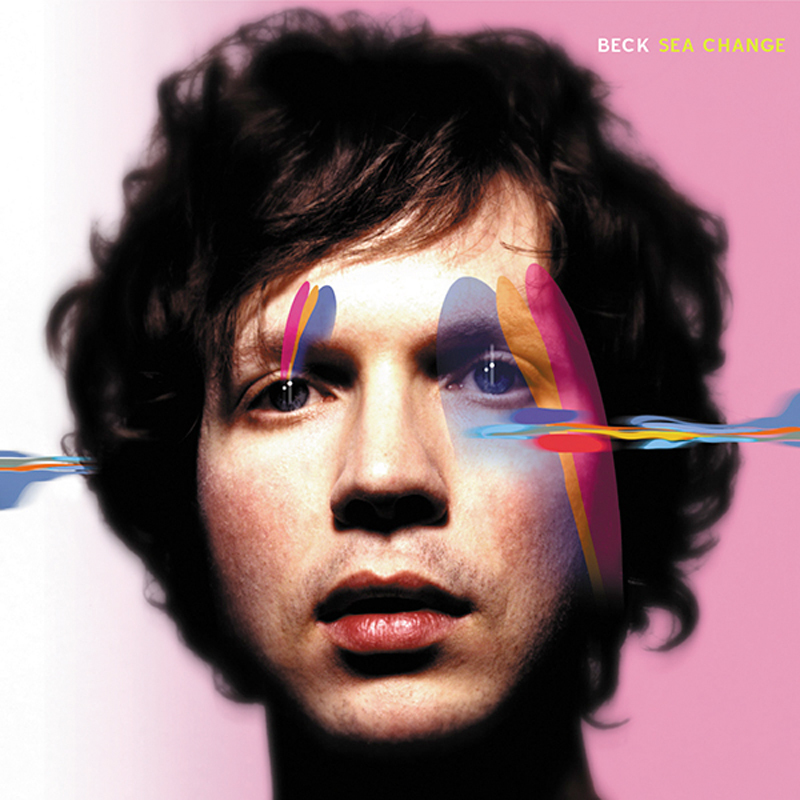 Both tracks find Beck in familiarly unfamiliar territory; just as Sea Change was a stoic left turn after the looseness of his mid-to-late 90s output, Morning Phase is a pensive return to the same territory after the 60s rock of Modern Guilt and the sample-based fun of The Information and Guero. Normally I hate comparing an artist’s newer work to their earlier work — it’s that kind of comparison that leads to the hipster cliche, “their older stuff is better” — but when Beck himself invites the comparison, it has to be made. Beck even gives a knowing nod through the album art, à la David Bowie; Beck’s face stares out at you from behind streaks of blue, orange, and yellow just as he did 12 years ago. And with both songs, the influence is undeniable; there’s the same unyielding focus on acoustic guitar strums and Beck’s surprisingly sonorous tenor that we heard 12 years ago. In “Blue Moon”, the shorter of the two tracks and the first to be released, we’re welcomed by plucking guitars and mandolin, baroque drumming, and Beck’s deep croon. “Waking Light” introduces itself with spartan piano and, again, Beck’s commanding voice. Beck’s vocals really shine on both tracks after going dormant on the more muted Modern Guilt, just as they did on Sea Change, the album when people finally realized that Beck actually has a pretty great voice. And that’s where the similarities with Sea Change end, honestly; not to say that these two tracks aren’t brilliant (they are), but the way in which Beck treats the material is completely different from its touchstone. He takes the same pieces — acoustic guitars, backing vocals, booming drums, strings, banjos, mandolins — and channels them into a completely different sound because both “Blue Moon” and “Waking Light” are, unlike the crushing despair of Sea Change, ultimately optimistic. Sea Change‘s opener, “Golden Age”, features the lyric “These days I barely get by / I don’t even try.” It’s a beautiful track, but I’m glad that Beck isn’t retreading the same ground here; “Blue Moon” opens with Beck singing “I’m so tired of being alone”. Sure, he’s still a sad-sack, but he’s actually trying here. When the song reaches it’s chorus and the drums pick up, backing vocals rise and fall, and Beck pleads “Oh, don’t leave me on own,” the tonal shift is apparent. The cheeky plucking of guitars in the post-chorus feels overly happy, but with tongue firmly in-cheek. Beck’s laughing at himself for his past. “Blue Moon” reaches a beautiful peak just past the 3 minute mark, and as keyboards dance over chugging drums there’s an actual faith that Beck won’t be left on his own. The song may end on a minor chord, but it’s nothing but optimism here. Set against the more lively “Blue Moon”, “Waking Light” is somber and stately. The former is the better single, but the latter is the better track; the chorus is absolutely the most triumphant thing I’ve heard since something off of The National’s 2010 LP High Violet. The track is incredibly rich — strings, guitars, keyboards piano, harmonies, and xylophone fill up the sound, but plenty of space is left in between the instruments for their reverberations to haunt. Beck counsels someone that “when the morning comes to meet you, rest your eyes in waking light.” He nearly slips into the pessimism that dominated Sea Change, but turns it around into something altogether new, reassuring, and promising. Beck treads the line between disingenuous over- and under-sincere optimism beautifully; he never once feels like he’s phoning in any of the emotion. The gentle crescendo of the backing vocals in the chorus is affecting stuff, and I don’t say that lightly. The howling keyboards at the end of track sound out like a foghorn calling out to other lost souls. Beck fills the chorus with lyrics of loss, memory, and hope; most importantly, you feel something. I’m not sure what it is; not sadness, not joy. Maybe it’s reassurance. The fact that after a 25 year career Beck Hansen can still summon this kind of emotion out of a listener is astounding. No one has a right to release two tracks this good this deep into their career, but he has. In four days we’ll be able to tell if the album stands up the the promise of these two tracks; even if it doesn’t, we’ll still have these: two tracks filled with real power. Born and raised in Lafayette, IN, I decided to forgo the familial tradition of Purdue University and travel south, here, to Vanderbilt. I came in as a chemistry major, but after an "exploratory semester" (that's what I'll call it in retrospect), I decided to pursue something I was actually good at: English and Classics. I've been a DJ at WRVU for nearly a year now; my show, Evil Home Stereo, airs on Tuesdays at 9pm central time. My favorite bands include The Decemberists, Modest Mouse, Pink Floyd, Steely Dan, and Arcade Fire. My father, himself a DJ, schooled me well in classic rock. I play guitar on the side. I love Mad Men, F. Scott Fitzgerald, Wes Anderson, and the Chicago Cubs, may God have mercy on my soul.